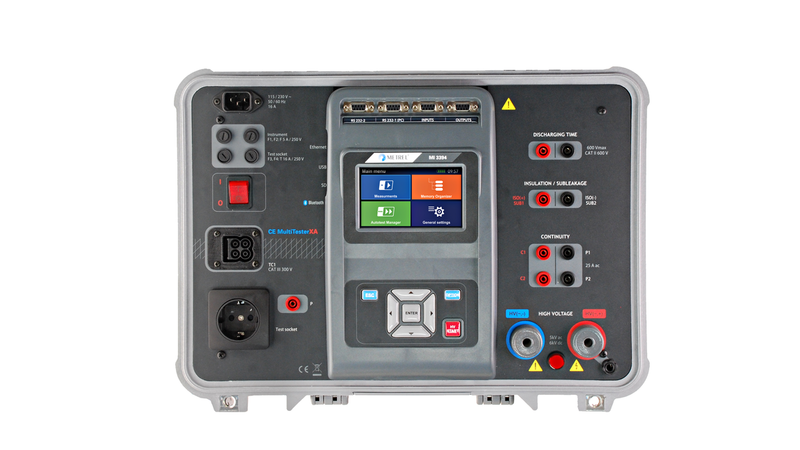 The MI 3394 CE MultiTesterXA is a portable instrument intended for electrical safety testing and CE certification of electrical appliances, machines and switchboards during the production. The PC software MES-Manager enables the upload of automated test sequences, projects, downloading of test results to the PC, automatic data storage into a file and printing of test reports. Due to selected test functions, durable construction and accompanying PC SW package CE MultiTesterXA is the perfect instrument for electrical safety testing in the most demanding environments like laboratories, automated production lines or specialized workshops.